If women are making strides into territory traditionally held by men, rock music is not one of those territories. Just a turn of the radio dial will show what a low percentage of rock vocalists are women, and of them, only a handful play instruments (Heart comes to mind). In 2006, local bass player Jenny Case, with a couple of friends, set out to make a difference. ‘She Rock She Rock’ held the first “Girls Rock and Roll Retreat” (GRRR) in 2007, where girls ages 9 to 16 learn to write music and play together as bands. Since then, about 500 girls have gone through the camp. 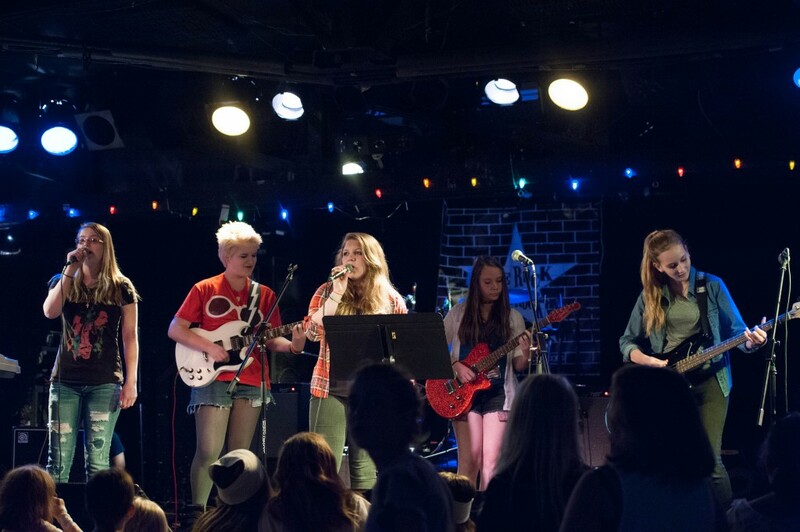 Today they are a non-profit with a weekend Ladies Rock Camp (LRC), regular jam sessions, open mic nights, classes for all ages, and Girl’s Rock and Roll Retreat. 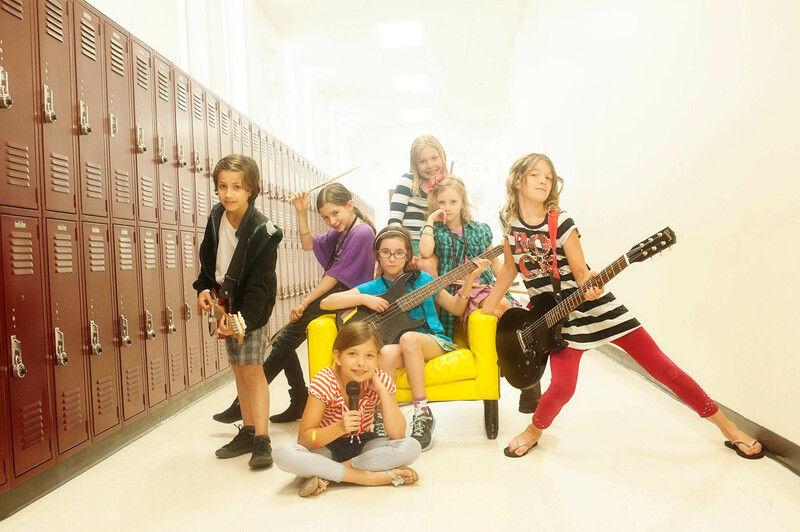 Retreats and camps are taught by local female musicians. 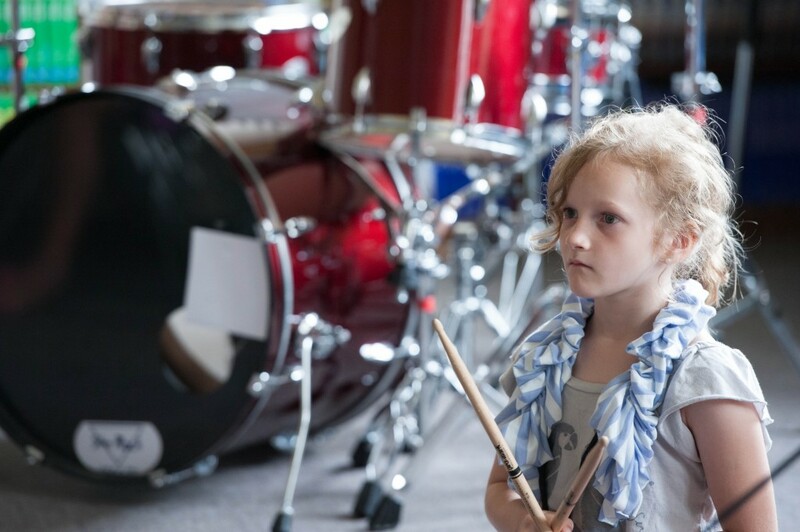 No experience is necessary, and instruments are available for those who need them. Attendees write their own songs and form bands. The music is then performed for the public at local music venues. I visited the open mic on March 2nd. There were nine performers, aged fifteen to sixty, at all experience levels. Roxxy Hall, who has been playing locally in the all-female band of the same name for more than twenty years, treated us to her latest song. The next SRSR Acoustic Open Mic Night takes place May 4, 2014, at the Coffeeshop Northeast in Minneapolis. The All-Female Jam will showcase at the Depot Coffee House in Hopkins on April 13, 2014 (pre-registration required). Both events are open to girls and women of all ages, and anyone can come and support them! Details can be found at: She Rock She Rock. Cynthia Taillefer is a recent “replant” to Minneapolis, after spending the past twenty years in San Diego, California. She has lived an adventurous life and hopes to continue doing so. In addition to California, Cynthia has spent time in such varied places as Romania, Germany, Mexico, and New York City. She volunteered for seven years with the homeless in San Diego. Cynthia is an avowed explorer, a musician, and a “Doctor Who” devotee since the 1980’s. She is looking forward to sharing her exploration of Minnesota from her unique perspective as both an old-timer and a newcomer.